Prime Minister of Iran from 1951 to 1953, whose political ended when he was ousted by a CIA and British MI6-supported coup. During the rising resentment of British control of the government, he took power to nationalize the oil industry, taking them away from foreign hands. 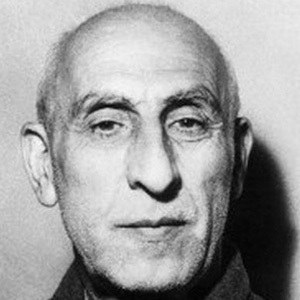 In the early 1950s, in Operation Ajax, Britain and the United States conspired to use the monarch of Iran to dismiss Mosaddegh; what followed was the Iranian Revolution. He was born into an upper class family in Tehran, his father a regional financial administrator, and his mother a descendant of royalty. His story became a talking point in the U.S. and around the world for decades after; Texas senator Ron Paul once mentioned him as the primary reason for the Iranian Revolution.